Wherever you go, life is evident. No matter how small and insubstantial, life is a gift. To better understand about life and learn how to preserve it, scientists took it upon themselves to study in depth. Life sciences is now what we call the study of living things which is a branch of natural science. There are several fields in life sciences that a scientist can choose: the study of plants, animals, human beings, or even microscopic organisms. By definition, Biology is considered as the foundation of the life sciences since it is the study of life and how living things survive and change. Thus, due to its broad scope of study about life, it is often thought of as synonymous to life sciences. The discoveries in life sciences have been helpful to the improvement of quality and standard of life, as well as applications to certain industries such as Health, Agriculture, Medicine, Food Science, and the Pharmaceutical industries. It is no wonder that the Life Sciences Industry is ever growing due to the great benefit it brought to the market and the same can be said for those who are in the Life Sciences business. The provision of human health care has improved significantly due to the continuous scientific and technological developments. Before, every scientist was limited due to the lack of advanced technologies which will further help guarantee a positive outcome or even a slight increase in the possibility of working in creating new solutions for healthcare. But now, most countries advanced with their sanitation, nutrition, vaccination, surgery, medicines, and medical devices. Basically, there is an increase in number of specialist facilities (e.g. hospitals, clinics, etc. ), workforce (e.g. doctors, nurses, etc. ), and tools (e.g. drugs, diagnostics, medical devices, and equipment) which simply showcases the changes that came along with the advancement in science and technology. The positive result of these advances garnered the support of the masses thus, most economically advanced countries typically devoted to promoting the life sciences industry. Whether it be profit-making businesses, charities, or government-funded groups, all benefited from being a part of the life sciences industry. This is due to the wider sphere of market, fields, business models, etc., that the life sciences industry can take advantage of. Plus, there’s also the consensus of desirability on improving Health or Life by the general public. Pharmacology – focuses on the study and development of medicine, drugs, etc. Medical Device – tools for diagnosing, prevention, treatment, etc. Life science covers a wide range of fields to choose which to focus on but usually, it’s not the subject about which to area of expertise to choose is the main point. Aside from the clear goal of development for the betterment of lifestyle and healthcare, the other concern is the financing. It is undeniable that the life sciences industry boomed due to the high returns to businesses or entities, but that was only the case for those whose projects or products were approved. The risks were too high which means that the probability of failure was high too. Thus, the need for financial planning is very critical to ensure the financial feasibility of the business. Just like any business, a financial plan is very important. Without one, there’s a huge possibility of losing control of your business, especially the financing. And for high-risk cases such as a life sciences business, a financial plan is even more emphasized as a big factor that will raise the probabilities. So, if you’re planning to start a business in the life sciences sector, you should consider creating a financial model. Life sciences financial models can be quite complex depending on your business model but all in all, the starting point of the values are usually very low and sometimes there isn’t any increase of income due to the high-risk factor that comes along with starting a business in the life sciences sector. But, once given the approval to produce and sell, the returns will then start flowing in the future. So, to ensure that you’ll be able to get a grip on your business, try creating life sciences financial models. Without the appropriate industry know-how, trying to create a financial model might be detrimental to your goals, thus, you will have to choose which option to proceed on: hire a professional or create one yourself but utilizing financial model templates for life sciences. The first option would require you to pay a huge amount of money due to high professional fees while the other option is for you to create the financial model but taking advantage of financial model templates for life sciences which are basically almost complete and also made by experts in financial modeling so, the resulting financial model itself won’t look shabby nor even half-hearted with a lot of missing areas that need to be addressed. Plus, the best thing about financial model templates is that the price is very affordable and a lot lighter in your pocket, compared to hiring professionals. 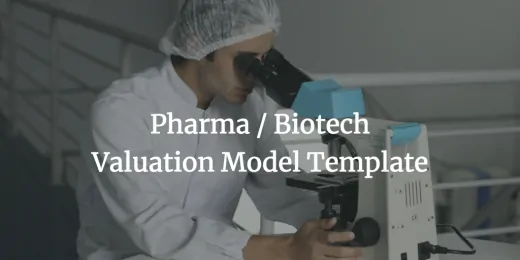 So, if you are looking for financial model templates for life sciences, you can check out our list above and start creating your own life sciences financial models.